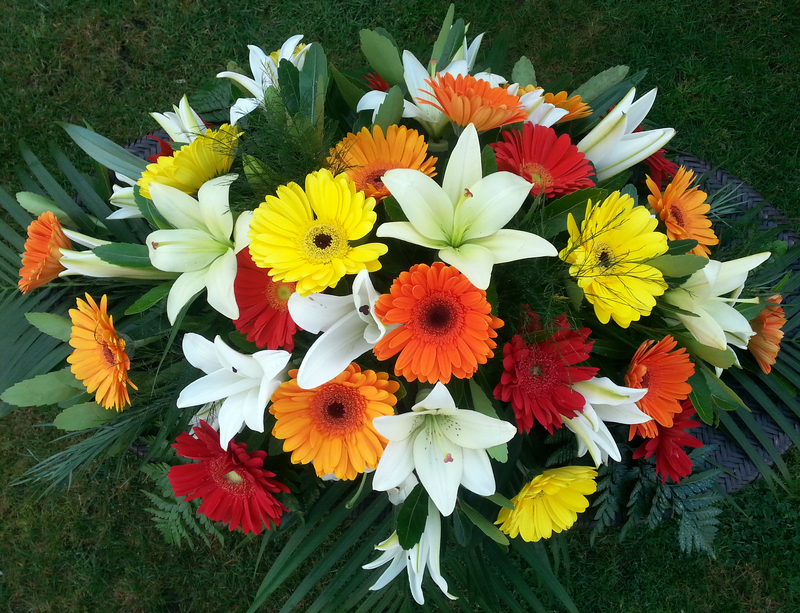 A stunning spray of white oriental lilies and vibrant gerberas. Suitable for a lady or gentleman. Looks lovely exactly what I am looking for. I will be ordering this arrangement for a funeral. Thank you.